As a business, you probably have a number of key performance indicators that you monitor to determine whether or not you are ahead or behind. And, if you don’t I would highly encourage you to look at which metrics are important to your business and how you can measure whether or not you are on track to meet the metrics that define your success or failure. Today, I want to talk about individual key performance indicators. A lot of time, effort, and energy is wasted by well-meaning employees who want to perform well, but who are unaware of how they are being evaluated in terms of their performance. If you have the right person in the right seat, which means they have the capabilities to do the job required of them and that they’re aligned with the vision that you’ve set forth for your company, then one of the major reasons why they may not be successful in your view, is that they don’t know what your view of success actually is. Combined with successful performance management, this can be resolved by making sure both you and the employee is focused on achieving success as defined by you relative to some quantifiable metric. By measuring, we bring awareness to whatever it is that we’re measuring. This causes us to focus on that thing, and awareness is usually the first step towards solving a problem. Now, a major disconnect occurs when an employee’s manager is measuring one thing to determine that employees success while the employee believes that something else is being measured. That’s why, you need to sit down with your employees and make sure they know exactly what’s important to you and how you’re going to be measuring their success. Hans, one of the beautiful things of measuring is that we can remove a lot of the emotion around performance. Instead of dealing with stories, we can deal with data. As of business, you have a number of key performance indicators which the business is responsible for hitting, And that makes sense when you view your business as a separate entity or individual. Now, business is made up of two main components – people and processes. From a high-level, sales is one of your processes. Fulfillment is another. And, we have people in each of those areas responsible for making the processes work. But, if we keep drilling down within those areas we’ll find that we need each individual to hit certain levels of performance in order for the overall business to perform according to expectations. Naturally, we want to hold each individual accountable to the level of performance that they need to achieve for the business to be successful as a whole. And, if we think about sales it’s not hard to think about the key performance indicators that each sales person needs to reach. However, when we think about an area like fulfillment, it often takes a little more time to determine what metrics need to be hit by the individuals working in that area of the business. So while it maybe easy to hold sales people accountable, you may find that employees working in different areas are facing a lot more ambiguity around whether or not they are being successful. In fact, in these areas we often have group goals or department goals. However, real accountability is only possible when there is one person who is accountable for the results. This creates the need for individual key performance indicators. When every person in your company has a target metric that they’re responsible for achieving, it becomes easier to manage them because to a large degree they are self managing themselves against their individual target metrics. In some cases, the key performance indicator maybe the completion of a certain project during the upcoming quarter. If the work employees doing does not project based, an indicator maybe how many issues are resolved per day, how many units are processed per day, etc. Now, an individual key performance indicator is not going to be very useful if the person who is trying to hit it doesn’t have a way to know whether or not they’re on course or off course to hit that number. This is why it’s important to identify and use key performance indicators that have a short feedback loop, which means that the employee is regularly getting feedback on whether they’re moving farther away from or closer to hitting their key performance indicator. One of the ways that we can create a shorter feedback loop is to do something called chunking down. When I was working with Intel Corporation, the projects were so complex and so large, that they had to be broken down into a number of smaller projects and tasks. By doing this, we could then measure our performance relative to how many of those tasks we were completing and how quickly we were completing them. In some cases, we had to create methods to measure what we were doing, and it was worth the time invested. Another side benefit of chunking down from the large goal or project to the individual, Is that you realize the value that each individual is contributing to the overall goal. In other words, you see how the parts make up the whole. And, it allows you to determine whether or not you have sufficient resources to reach your goals on time and with the level of quality that you desire. We can’t do much with lagging indicators except plan for how we’re going to do better next time. With leading indicators, we can modify our behavior before we realize we’ve hit or missed our target. Think of it like a compass that tells you whether or not you’re on-course or off-course to reach your destination. 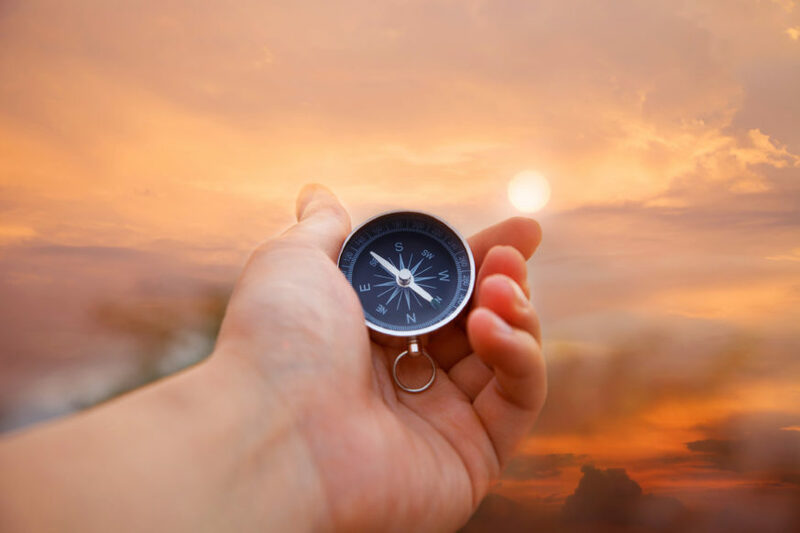 And, when each of your people has their own compass, it becomes far easier for them to remain focused and stay on course to hit the targets you’ve set.